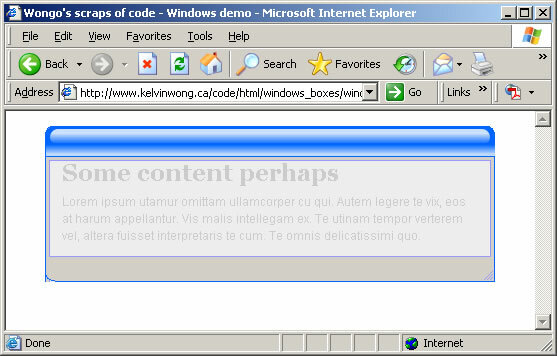 Firing up the old IE Developer Toolbar I discovered that my lil’ol div didn’t “have layout“. This one property (unique to Internet Explorer) has given me more grief than all of WCAG, CSS, div-hell and XHTML combined – well, that’s pushing it – but, you get the idea. Okay, give the little guy layout (sets height to some value) and voila; it works. The MDI article will have to wait another day; I’m going to bed.